FNR and Ministry of the Economy to Launch a "Space Research Program"
Deputy Prime Minister, Minister of the Economy, Étienne Schneider, and Secretary General and Executive Head of the Luxembourg National Research Fund (FNR), Marc Schiltz, signed an agreement to develop a program to support research for the commercial space industry in Luxembourg. 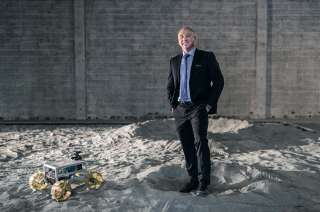 The "Space Research Program" will provide funding for national public research institutions and Luxembourg based companies to collaborate with each other to advance knowledge, to attract and nurture top-tier talent, and to provide sustaining contributions to the Luxembourg space industry ecosystem. Funded projects will need to be conducting research that supports the country’s space vision. Research results, new technologies and expertise will later be at the disposal of the local space and non-space industries. Deputy Prime Minister, Minister of the Economy, Étienne Schneider stated: "Since the 1980’s, a strong R&D culture and cross-sector co-operation has been key to a thriving ecosystem that stimulates innovation and accelerates the evolution of business in space. The new research program will further encourage local space business players to team up with Luxembourg’s research community to develop competencies and talent for a burgeoning space sector". The FNR is the main funder of research activities in Luxembourg. 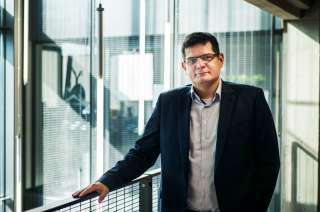 Its Secretary General and Executive Head, Marc Schiltz, declared: "The 'Space Research Program' is in line with FNR's vision to establish Luxembourg as a leading knowledge-based society through science, research and innovation, thereby contributing to the country’s economic diversification in a key high-tech sector like the space industry". 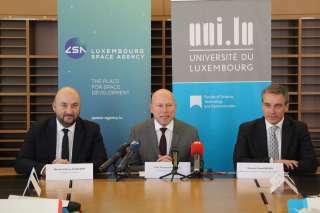 In addition to the future "Luxembourg space fund", the implementation of the "Space Research Program" will be an essential part of the setting up of the "Luxembourg Space Agency" that will officially be launched on September 12th. The agency will facilitate the economic development of the commercial space industry while attracting businesses and talents, providing innovative financial solutions and supporting academic infrastructure.